One of the many riches of the Niagara region is the thousands and thousands of acres of orchards and fruit farms that yield some of Ontario’s finest berries and fruits. 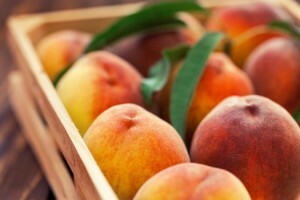 Strawberries, peaches, apricots, raspberries, apples — the variety of fruits grown is vast, and because the growing season for each type varies so widely, fresh, local, and in-season fruit can usually be enjoyed from May through at least October. If you’re planning a trip to the Niagara region in the upcoming months, there will be fruit aplenty. Here is a look at some of the best roadside stands in the area, where you can be sure to get everything from fresh fruit to baked goods and honey. Located at 1267 Niagara Stone, RR2 in Niagara-on-the-Lake, the Fruit Shack offers fresh and seasonal fruit and a whole lot more. Pick up a pack of the world’s best butter tarts or lemon tarts — both are made from scratch every day — and if you have a cooler and are driving home, you can also stock up on some of the region’s best poultry, pork, and beef. Until the middle of June, they’re only open on Thursdays, Fridays, and Saturdays, but from mid-June through Thanksgiving, they’re open every day from 9 a.m. until 6 p.m.
Another Niagara-on-the-Lake treasure, Falk Family Farms is owned and operated by the third and fourth generations of a farming family that has long called the region home. Originally a small farm of just 25 acres, today the Falk family has more than 350 acres on which to grow their delicious fruit. The Falk Family roadside stand features peaches, plums, pears, grapes, and apples depending on the season, and you can find their stand at 1239 Lakeshore Road. Situated at 4770 Lincoln Avenue in Beamsville, this little roadside stand sits deep in the heart of wine country, which makes it the perfect stop when you’re in between winery tours and feeling piqued. 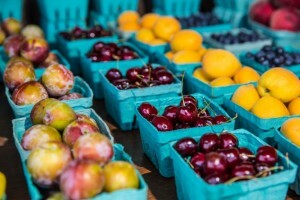 In-season fruit and vegetables are available from the middle of June until at least October, with everything from onions, beans, and tomatoes to cherries and Plekan’s famous peaches made available. In addition to the fruits and vegetables, you can also get local grape juice, cold drinks, and Beamsville’s Charlie Bee Honey. Savor the bounty of the land when you come to Niagara by stopping at one of these excellent roadside fruit stands.